I previously had the pleasure of meeting Jenny & Pete at the Yorkshire Sculpture Park for their pre wedding photo shoot. The months since then have flown by until suddenly here I was, ready to photograph their day in the heart of Manchester. The Great John Street Hotel wedding venue is an old redbrick school house, converted into a hotel which is filled with bags of amazing character and with all those giant windows, the natural light pours into the rooms. It was a wet and murky start to this Spring morning in April as Jenny and her bridal party prepared in one of the hotel bedrooms, the mezzanine floor offered a splendid vantage point from which to capture a few photos from. The top floor of the hotel was theirs for the day and this was the space in which the ceremony, wedding breakfast and party were all to take place, this opened out to a huge roof terrace with views towards the well loved streets of the set of Coronation Street and beyond. We were very thankful that the British weather chose to be kind to us, the rain stopping shortly after the service. Taking advantage of the drier spell we headed out to take more photos of the newly weds in the surrounding area, this included a nearby park as well as a short walk to the fabulous Victorian backdrops of the Air and Space Hall and Museum of Science and Industry. We then headed back up to soak in the atmosphere as the sun went down on the roof terrace, followed by obligatory throwing of shapes on the dance floor. 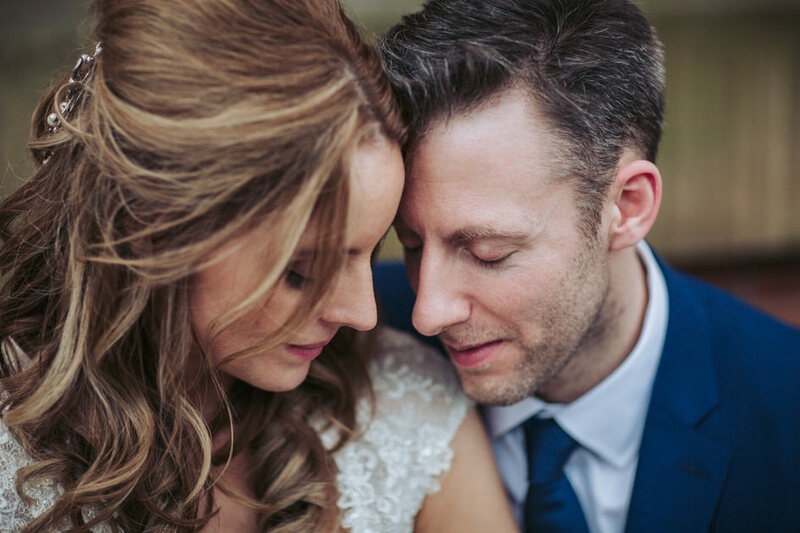 Anyhow, time to stop reading my weather report of the day and take a look at what you came here for in the first place – beautiful Great John Street Hotel wedding photography!